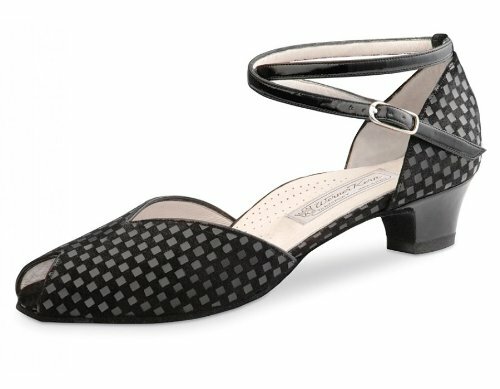 Ultra-comfortable, open Werner Kern Model Lola Quadratino Black dancing shoe with small toe opening and V cut. An individually adjustable strap offers a stable fit and an extravagant appearance. Soft glove-quality and exclusive chequered suede leather that provides a particularly gentle and supple fit.